Proof that you can have it all. Who says you can’t improve on perfection? Some side-by-sides get it right from the very start. And some get it better than right. Like the Honda Pioneer 700s. We’ve taken what was already a great side-by-side and made it even better for 2017. That’s because we’re introducing the new Pioneer 700 Deluxe models. With even more features, new color options, new shifting options, power steering and new safety features, the standard or Deluxe models are going to be the perfect side-by-side choice for thousands of owners. Here’s why: To start with, the Pioneer 700s are comfortable, powerful, and handle so well—they’re a joy to drive in conditions that would wear you out on another side-by-side. Everybody’s looking for comfort. Everybody’s looking for value. Everybody’s looking for features. 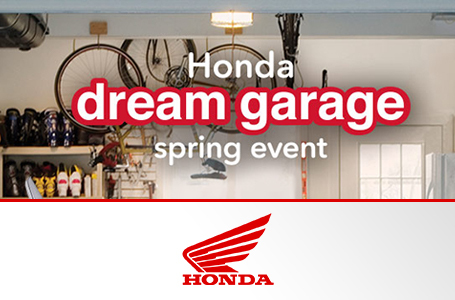 With a Honda Pioneer 700 and 700-4, you get it all, along with something no other brand can offer: Honda quality. Full-featured, sized right: How do you make a side-by-side that’s already as versatile and balanced as the Pioneer 700s even better? 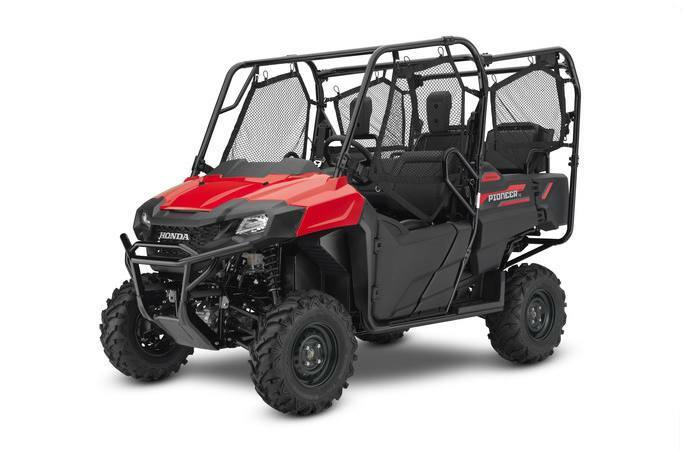 Our 2017 Pioneer 700 models still offer powerful, 675cc liquid-cooled engines, and their three-speed automatic transmissions give you something few other off-road automatics can—true engine braking in demanding terrain. A new front bumper and fascia make them look even better. And new for 2017, the Pioneer 700 and 700-4 are available as Deluxe models, featuring transmissions that let you choose either manual paddle shifting or fully automatic shifts. Deluxe models also include Electric Power Steering (EPS) and painted bodywork (Diver Blue on the 700 Deluxe and Matte Silver on the 700-4 Deluxe), as well as colored springs and all-new aluminum wheels. All models feature a massive 1500-pound towing capacity and 1000-pound hauling capacity, while the 700-4 models feature our QuickFlip® seating system—they’re a 2-seater, a 3-seater and a 4-seater, all in one. New Color Choices: Some hunters and outdoorsmen are going to go straight for the Pioneer 700 Deluxe models in Phantom Camo®. For others, Honda has to be Red. But this year there are two more great options: The 700 Deluxe is also available in Diver Blue, and the 700-4 Deluxe comes in Matte Silver too, both with scratch-resistant automotive-quality painted plastic, to keep your Pioneer looking good.